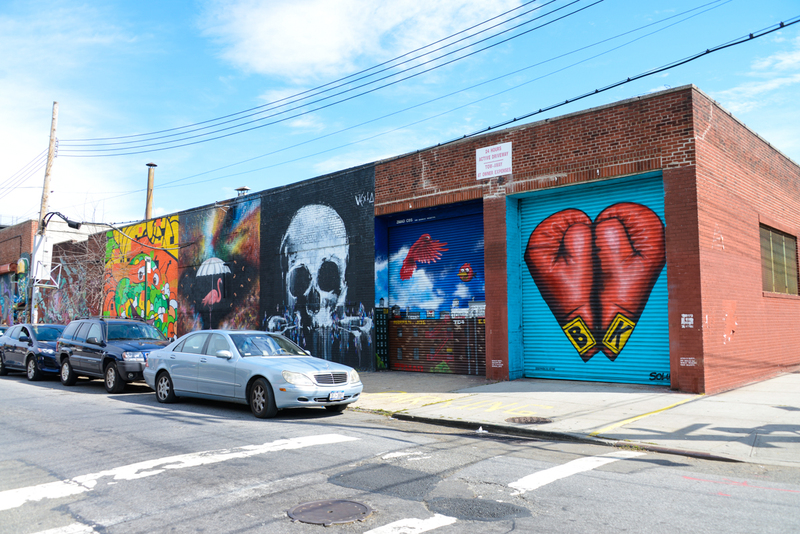 If you're a fan of street art, then Bushwick (Brooklyn) is a must-see on your trip to New York !!! 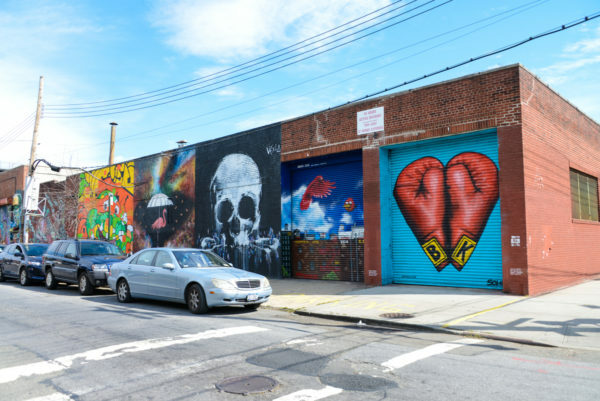 Anyway in this article, I will do everything I can to make you want to go, showing you dozens of photos, and by explaining both the history of this area of Brooklyn and street art, showing you street art and telling you what you can see there in Bushwick. 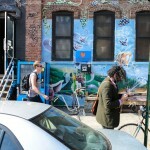 Finally I've prepared a 1h-1h30 walk routes in the area to see the best Street Art in New York! 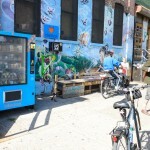 ├ What is the history of this area of Brooklyn? 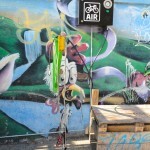 ├ What is the street art? 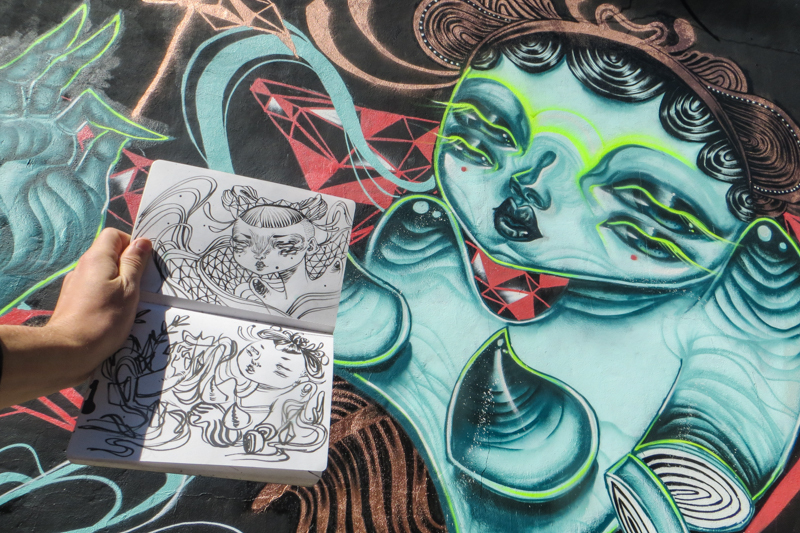 ├ What can be seen as a type of work of Street Art in Bushwick? 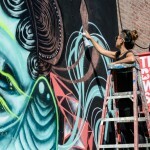 ├ Who are the artists in Bushwick? 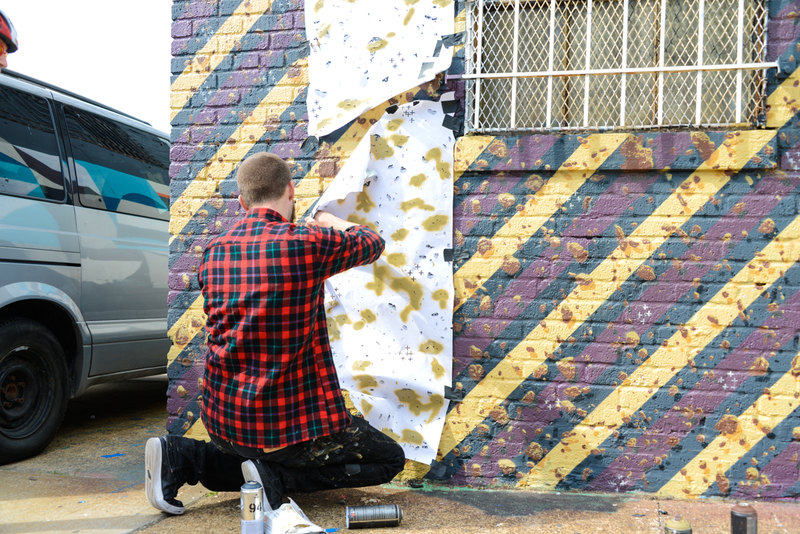 ├ Why these artists come to Bushwick? 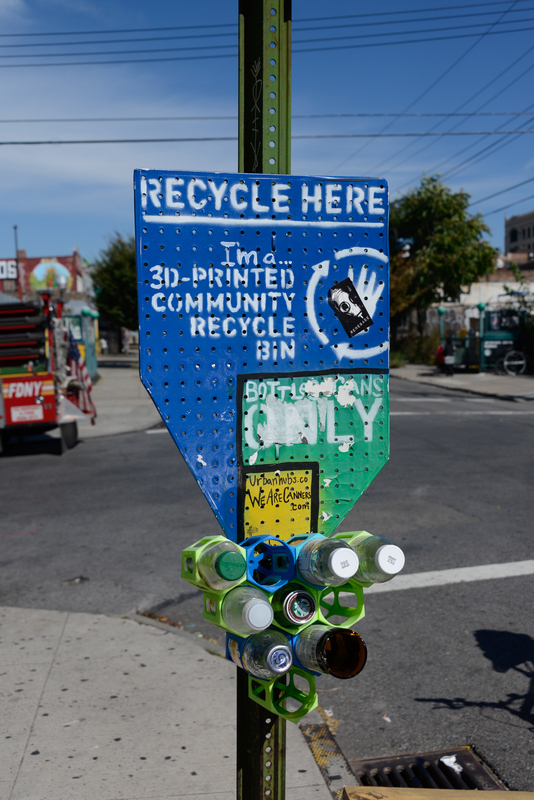 ├ Can you come to Bushwick to do graffiti? ├ Is it possible to have a tour to see the most beautiful graffiti in Bushwick? 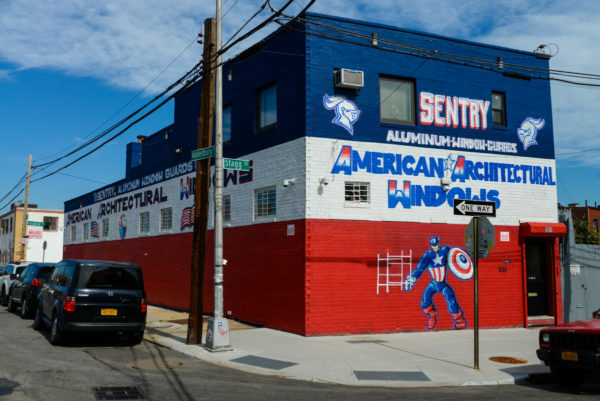 What is the history of this area of Brooklyn? Likewise the Brooklyn Borough, the Bushwick neighborhood was an industrial area in the first half of the twentieth century with a strong German and Italian community, then one can find many Italian shops but also several German breweries. 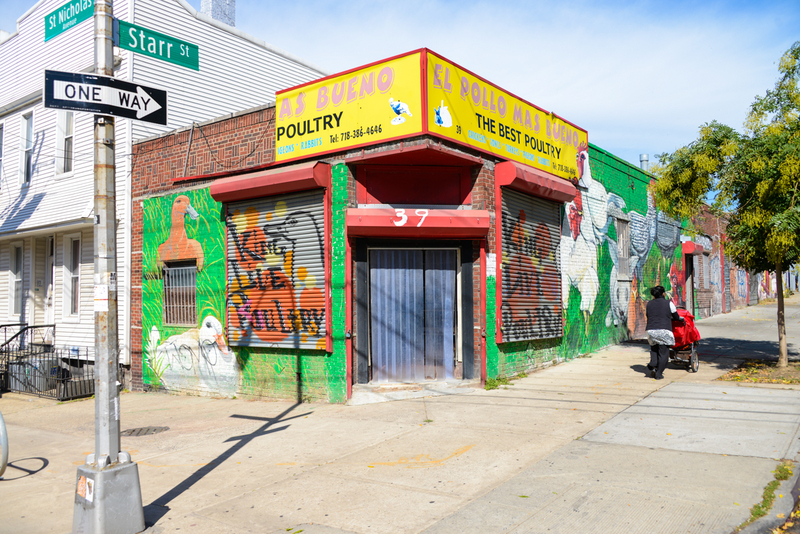 Then in the 1960s, the African-American, Puerto Rican and Caribbean working-class settled down in this area but they came at a time when life was becoming more expensive. 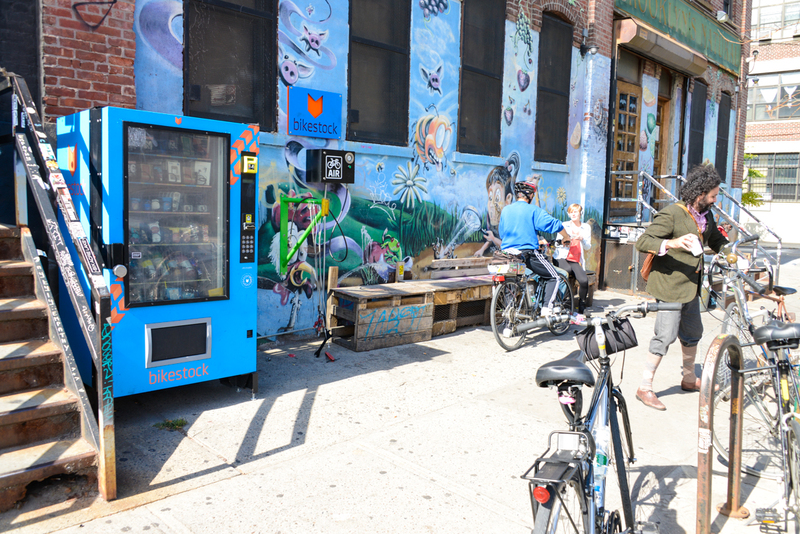 With the progress in transportation, companies including breweries left Bushwick to move somewhere else. 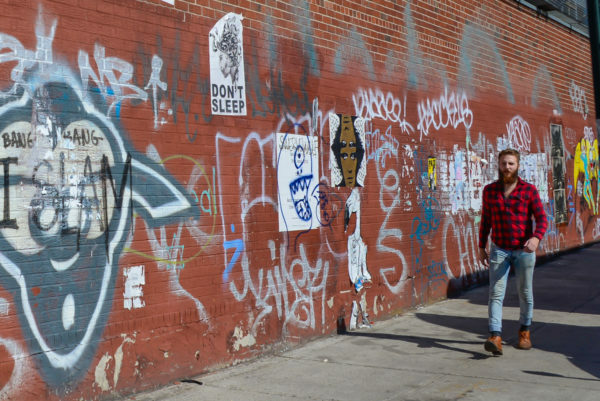 Bushwick then changed economically and became a No Man's Land, one the most dangerous parts of New York with crime, violence, drugs, prostitution ... 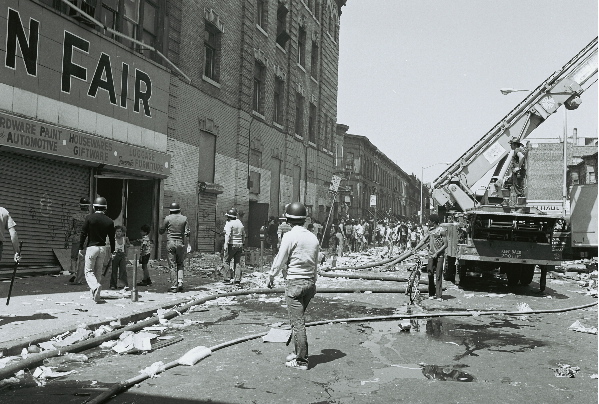 The worst happened in 1973 with the famous "1973 blackouts" (due to a power outage) in all of New York, and three days of riots and fires in Bushwick. Then in the 1990s, the neighborhood started to change, it became more diverse with the arrival of Latin Americans, which helped the area become a little more livable. 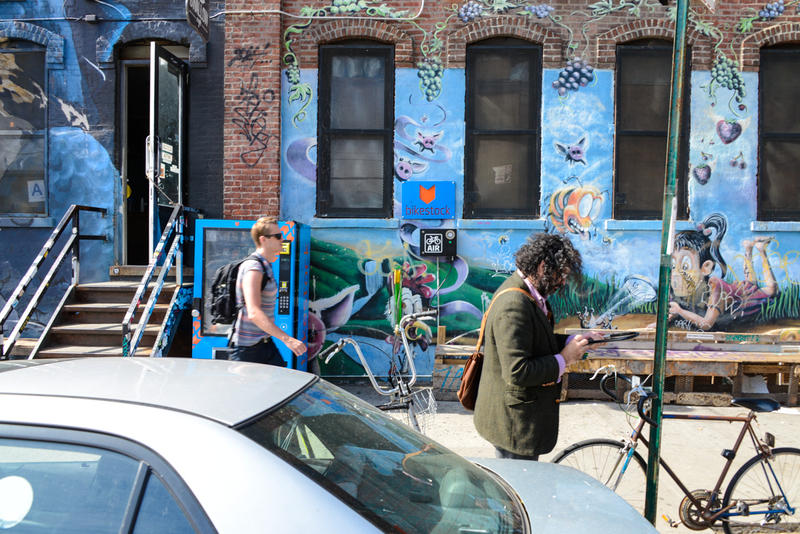 But it was not until 2005 when artists landed in Bushwick to escape the Williamsburg neighborhood that was being gentrified and became too expensive for them. They then invested in large warehouses in order to make lofts and workshops. And slowly the neighborhood has been changing with new restaurants, bars, grocery stores, concerts venues, exhibitions, openings, aperitifs, parties and impromptu events. 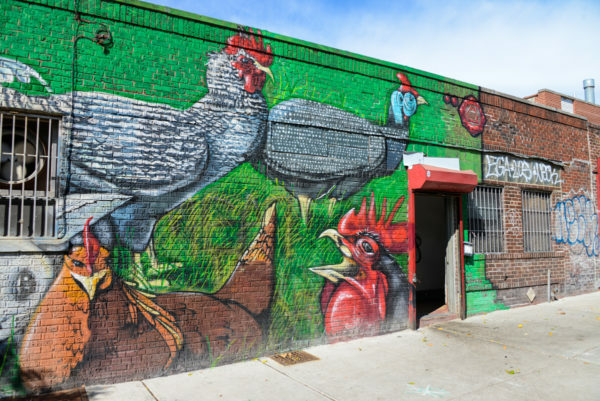 It is also here in Bushwick that there is the famous Roberta's restaurant which has a vegetable garden on the roof and uses it to make its pizzas. Finally it is of course also in Bushwich many Street Art collectors have swanped the walls of houses and warehouses like nowhere else in NY and even the world. 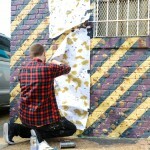 What is the street art? 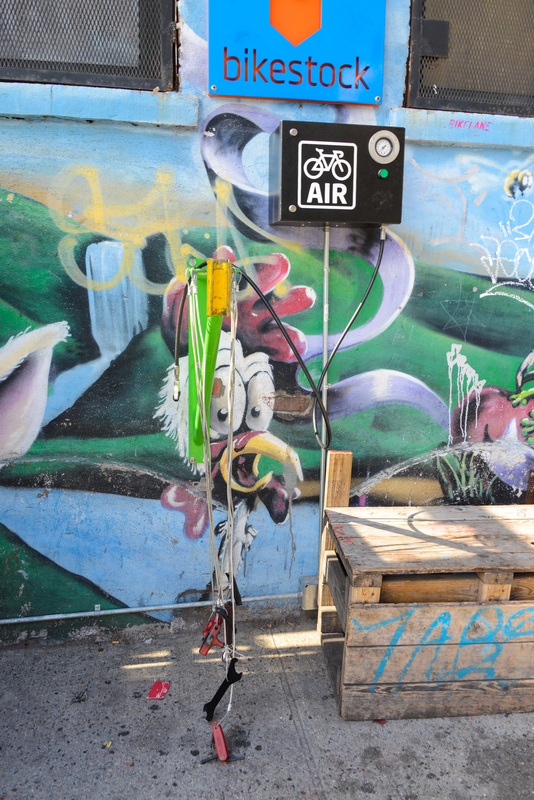 Street art (or urban art) is a contemporary artistic movement that includes the art of graffiti, advertising, stencil, mosaic, stickers and even yarn bombing. This movement developed from the 1960s with the American artist Allan Kaprow, and then in the 1970s in the New York subway to finally grow worldwide in the years 1980-90. 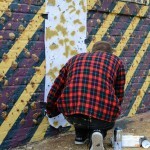 What began as a simple representation of tags (signatures) took gigantic proportions as subways and walls of railway tracks were taken by young artists. 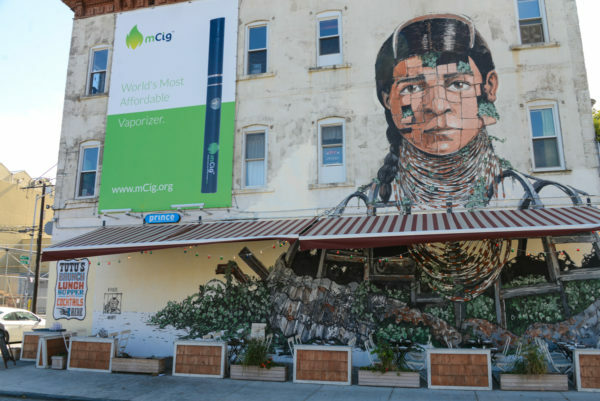 Today street art has become an art in its own right with world-famous artists such as Banksy, Blu, Shepard Fairey, Above, Roa, JR, Invader and Zevs. 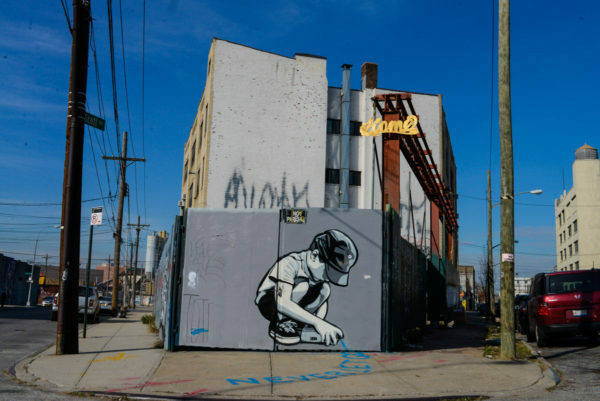 One of the peculiarities of street art is that it is ephemeral art, and therefore the works you see in a trip to NY in April 2017, for example, will not necessarily be the same a few months later. 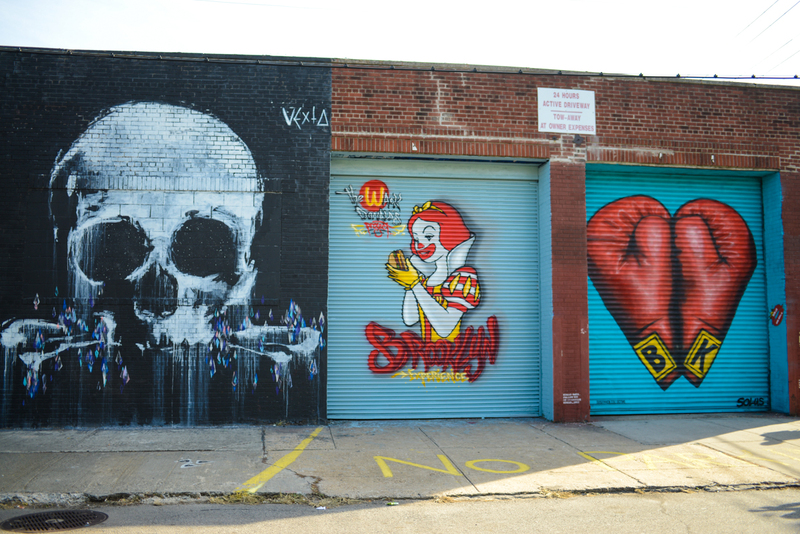 What can be seen as a type of work of Street Art in Bushwick? 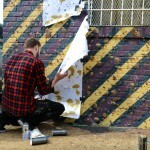 Who are the artists in Bushwick? 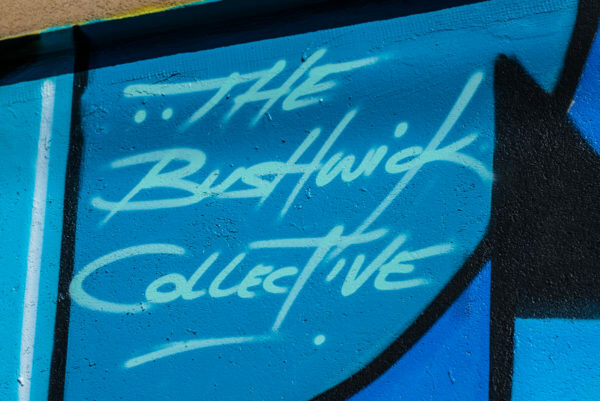 The most visible and best known group of artists here is The Bushwick Collective. 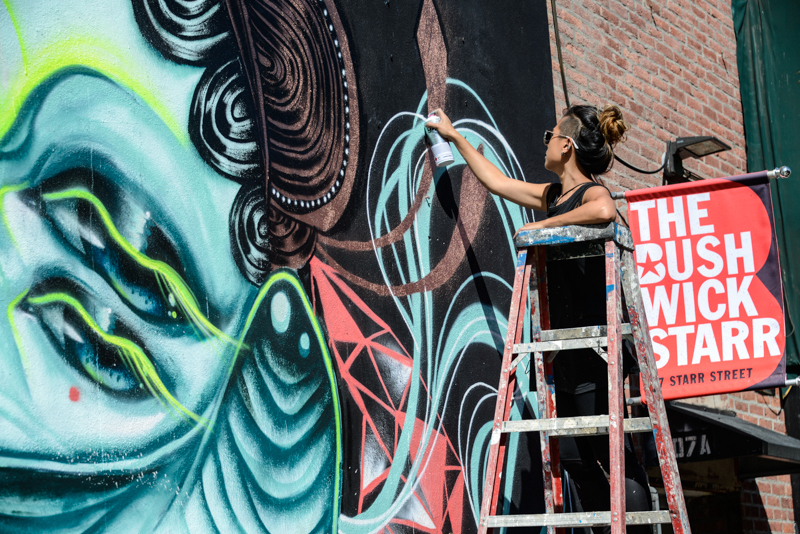 This group made up dozens of artists from around the world who have already painted hundreds of walls in Bushwick. 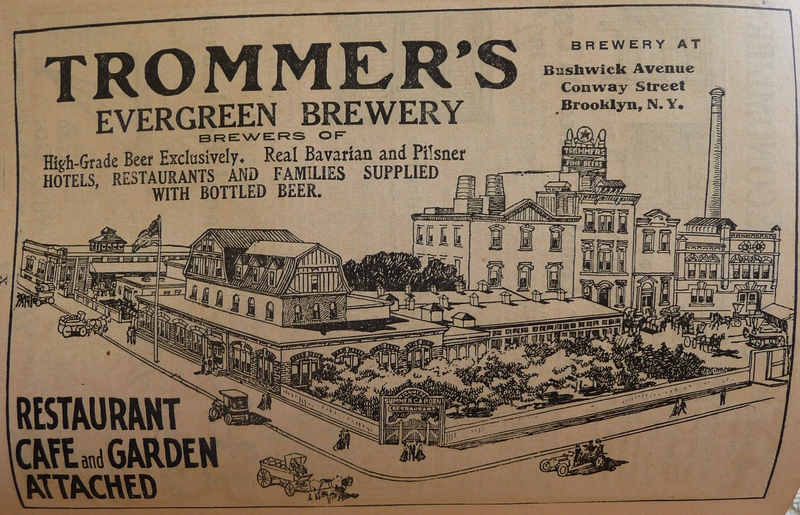 Their headquarters in the neighborhood is at the crossroads between Troutman Street and St. Nicholas Avenue. 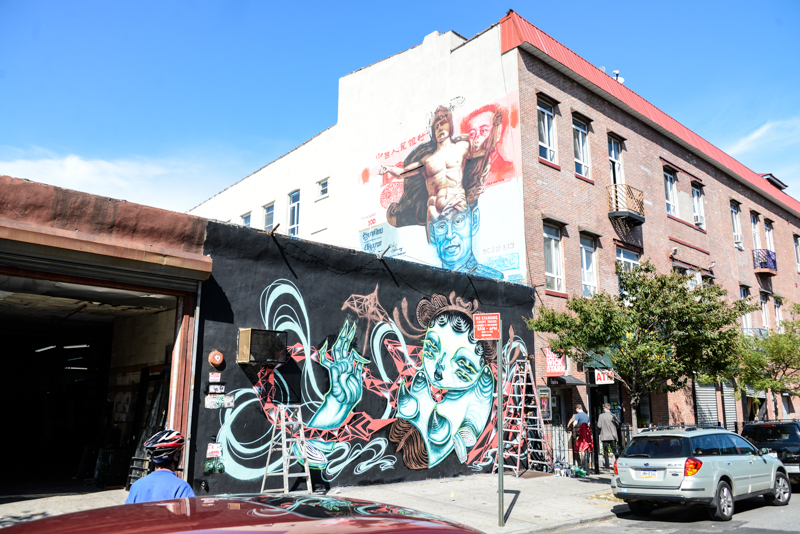 I have been told by a freelance artist that there are actually dozens of Crews (= band, team) in Bushwick as 12ozProphet or YMI Crew. 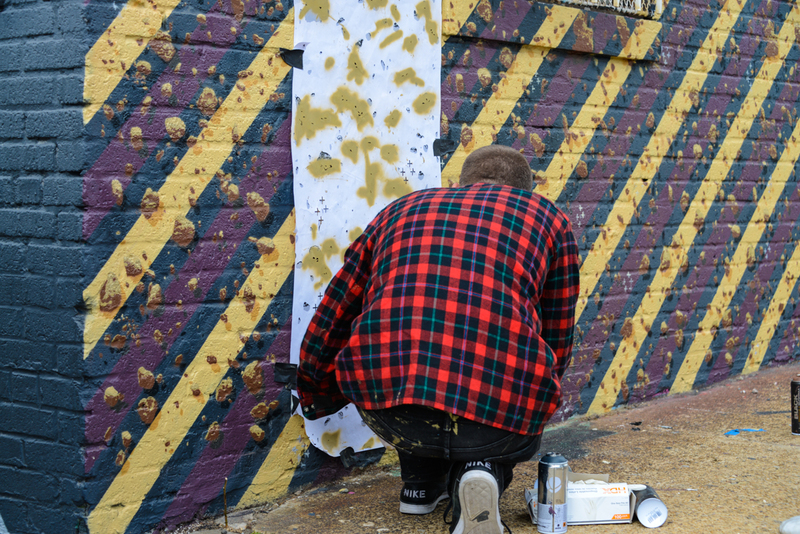 If you walk around the neighborhood and meet a graffiti artist at work, do not hesitate to talk to him because you they are very friendly and love to comment about their work. 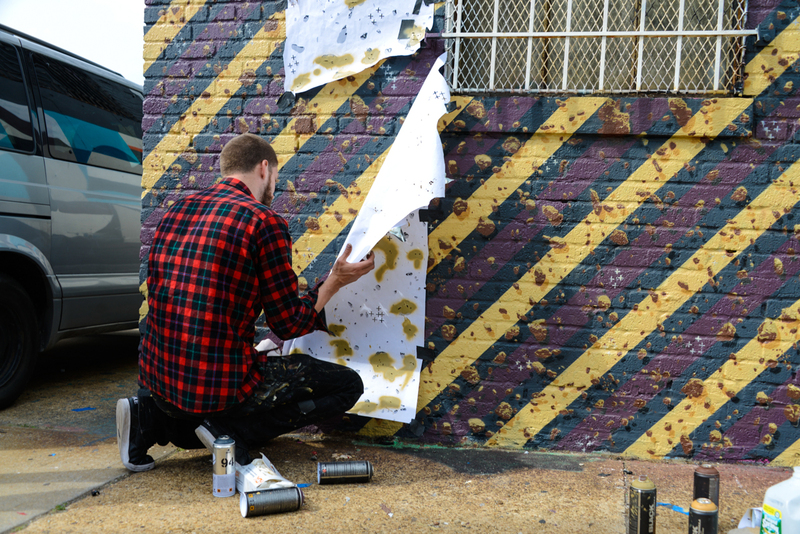 Why do these artists come to Bushwick? 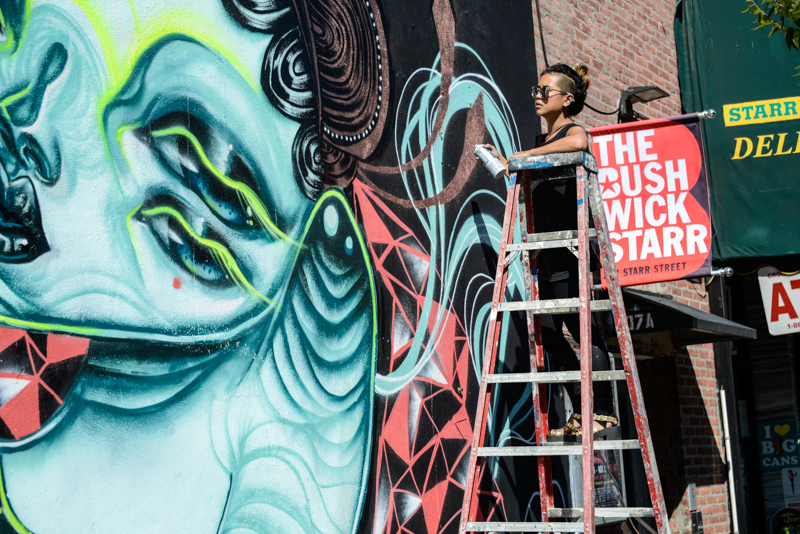 As it became the world capital of Street Art, Bushwick now attracts artists from around the world. 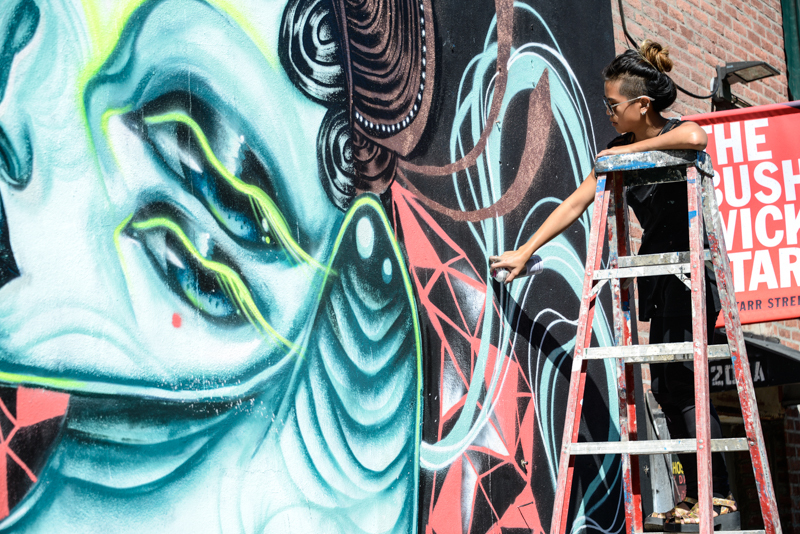 So the graffiti artists come for their own pleasure but also to make money because the business owners of the neighborhood have understood the deal and pay certain artists to paint on their walls a particular pattern in relation to their business to finally attract more customers. 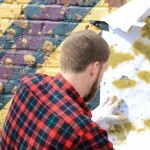 Can you come to Bushwick to do graffiti? If you are passionate and have already made some graff', you can try contacting one of the Crews of Bushwick. 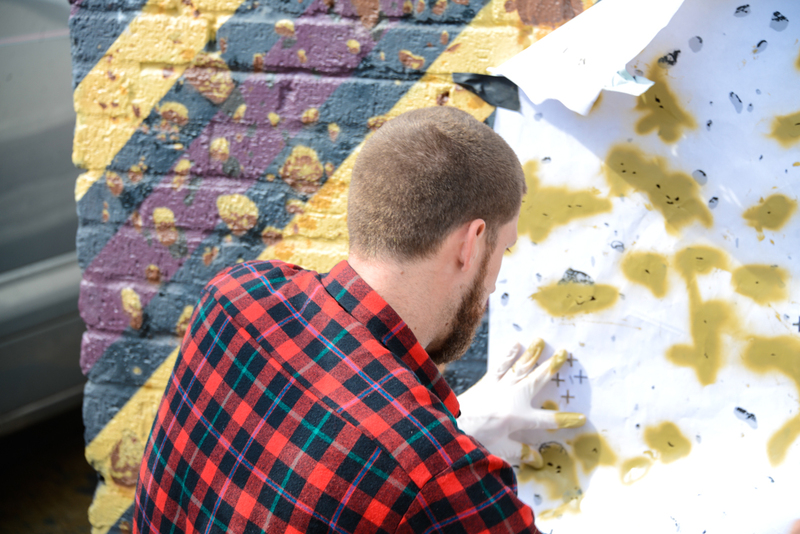 A graffiti artist part of the Bushwick Collective told me you must send an email to their crew by giving your background, and especially to send some pictures of your works. Then if they agree, you can come and they will tell you where you can do graffiti. Is it possible to have a tour to see the most beautiful graffiti in Bushwick? Yes, precisely here's a route I made for you so you can go through the prettiest streets and also to see the most impressive graffiti in terms of quality !!! I hope that I make you want to visit this area as it is a very nice area to discover thanks to its stores, events and artist/hipster atmosphere but also, of course, to discover the diversity and cultural wealth of Street Art.